(by Brian Murphy, Sacramento Bee) – The United Arab Emirates, a desert nation in the Middle East, has developed a unique plan to deal with its water needs. The country is planning to tow a giant iceberg from the Indian Ocean near Antarctica to the coast, then process the iceberg into drinking water — and, they project, change the weather pattern to bring more rain to the nation. The project is scheduled to begin in early 2018 and it being handled by a consultant firm, National Advisor Bureau Limited. When the iceberg is in position off the coast of Fajairah, Al Shehi said, water processing plants would turn it into drinking water. “It’s the purest water in the world,” he told Gulf News. 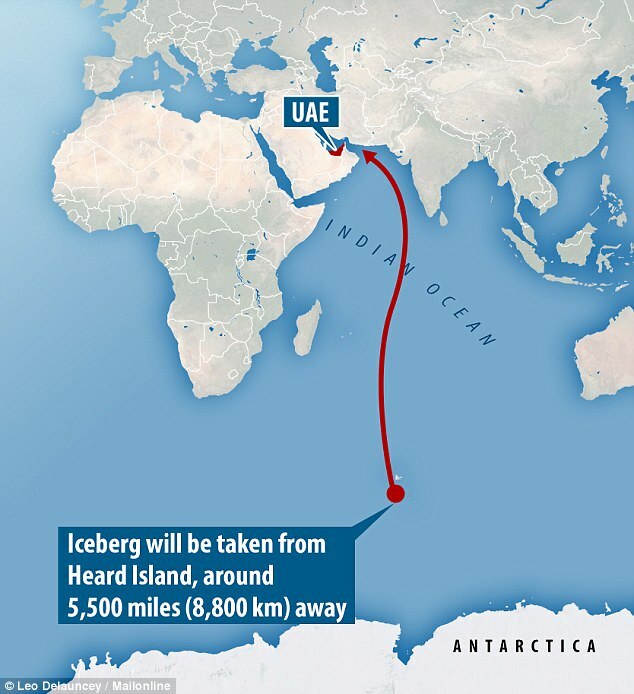 It is more than 5,500 miles to Fajairah from Heard Island, which is where the company plans to get the iceberg. Saudi Arabia considered a similar project in the 1970s, Gulf News reported, but there were too many issues at the time. In addition to addressing drinking water, the nation hopes to turn its desert landscape into a lush green one. 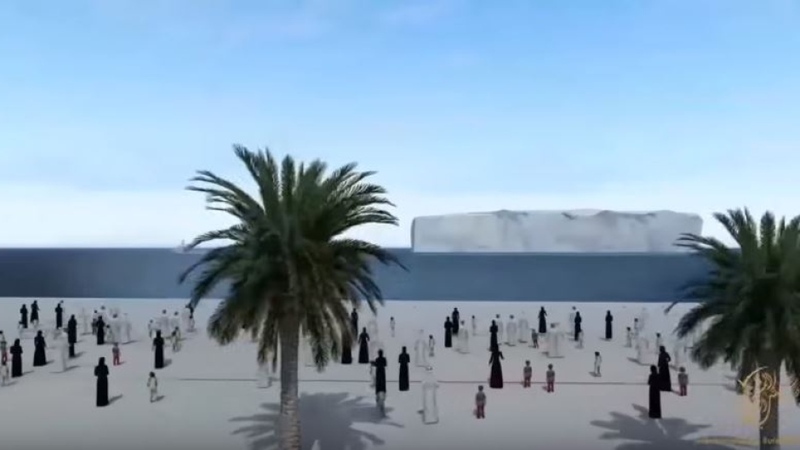 Al Shehi told Gulf News that the giant icebergs would produce micro-climates. “It would create a vortex which would draw clouds from all over the region,” he said. National Advisor Bureau Limited has produced a video explaining how the process might work, and it shows a transformed nation. Reprinted here from the Sacramento Bee for educational purposes only. May not be reproduced on other websites without permission from sacbee.com. According to convention, the ruler of Abu Dhabi is President of the United Arab Emirates and the head of state, and the ruler of Dubai is the Prime Minister of the United Arab Emirates, the head of government. Islam is the official religion of the UAE and Arabic is the official language (although English and Indian dialects are widely spoken, with English being the language of business and education particularly in Abu Dhabi and Dubai). The UAE's oil reserves are the seventh-largest in the world while its natural gas reserves are the world's seventeenth-largest.